We are all looking forward to putting the iPhone 5 against the Lumia 920 with Pureview when it is finally available. It seems however as that this isn’t going to be a contest for the 920 as the iPhone 5 can’t even beat the iPhone 4. YUP.. Your holding it wrong! If Microsoft would give an answer like the one above, they would get crucified. I would like to hear how iFans protect the mothership after this one. Written by: Hyde13 on October 2, 2012. Last revised by: WP7 Connect on October 1, 2012. I keep telling you they are all iPhools/iSheep and Jobs really did a number on their brains. I hope they some day wake up. 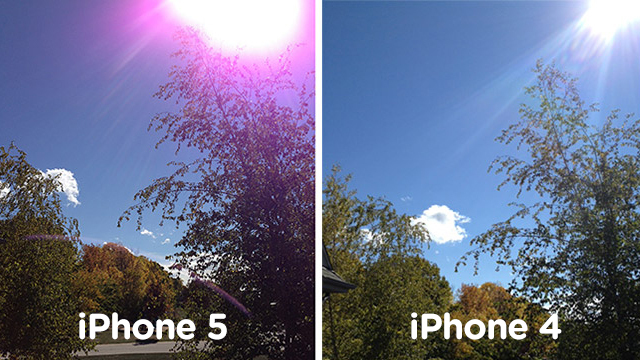 I have the iPhone 4, and I see nothing wrong with it, I prefer it over the iPhone 5. It really is nothing special, just a more widely sold phone, many of the same features as any other smartphone. The only thing I can hold over other smartphones -and brands for other electronics other than Apple- is that Apple products seem much easier to use than other brands. I know that if I read the instruction booklets for the other products they too would become easy, but overall I do feel that all of Apple’s products seem easier to use.